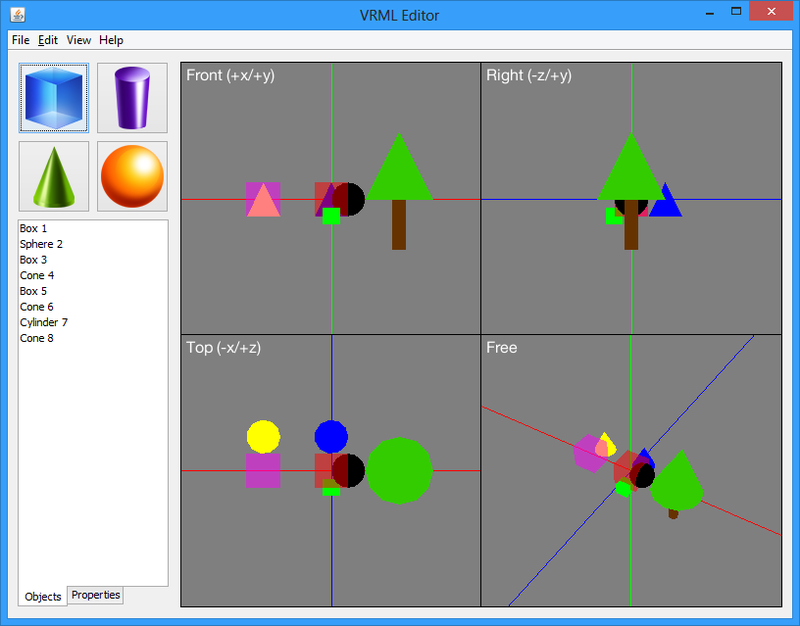 The goal of this activity proposed by our teacher was to create a simple 2D editor to exercise our expertise in VRML language. 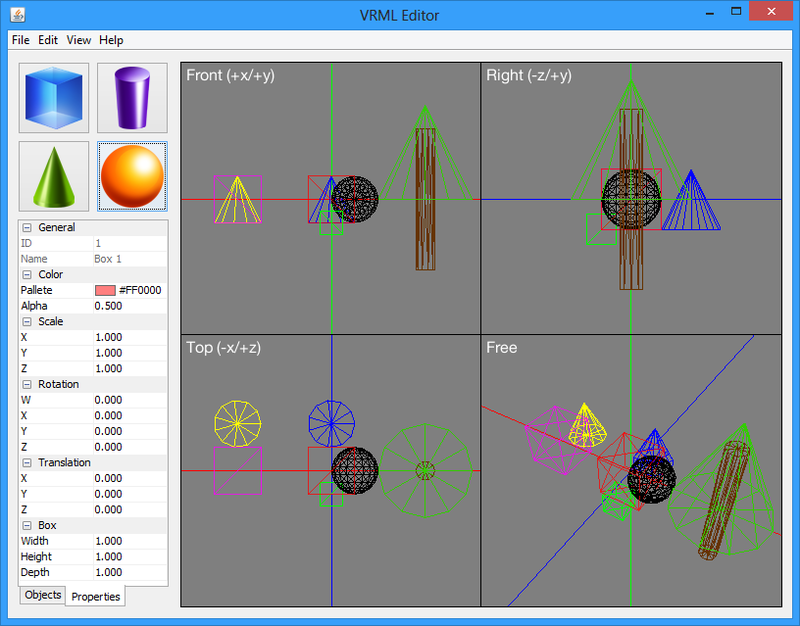 So everything that was drawn in the editor, could be converted to VRML and rendered by compatible viewers. We went a little further however, deciding instead to make a 3D editor, but nothing too advanced. Through basic shapes such as box, cone, cylinder and sphere was possible to create more complex objects. And then export to a file in text format with the corresponding VRML structure. For example, this code was exported by our software VRML editor and then rendered by Cortona3D. This source was written in Java language using NetBeans 7.x as IDE and the Libgdx framework to render the scene. Additional libraries such as l2fprod-common were used to create the property editor. This code was co-authored in collaboration with my classmate Guilherme Maganha Moreira. We decided to release our source code under the MIT License. The Libgdx framework is licensed under the Apache License, Version 2.0 and is included in binary form. The l2fprod-common is also licensed under Apache License, Version 2.0 and is included in binary and source form with a few modifications. The jcalendar and nachocalendar are dependencies of l2fprod-common and are licensed under the LGPLv2.1 and are include in binary form. For more details, you can find the readme files and a copy of the licenses in the repository. If you find this useful or have any questions, we will be happy to help you.